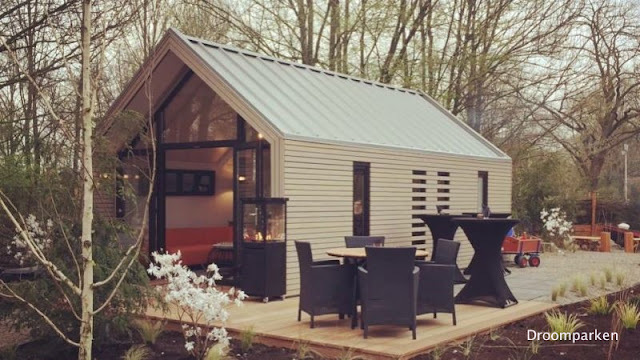 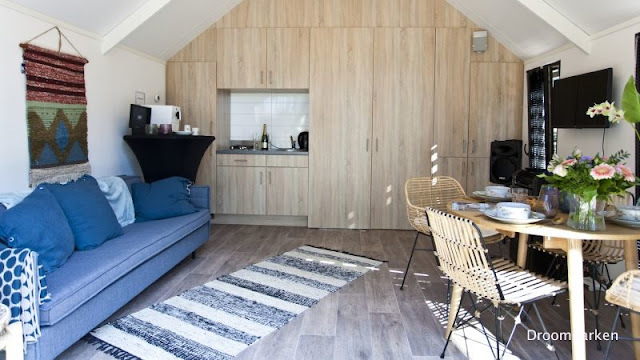 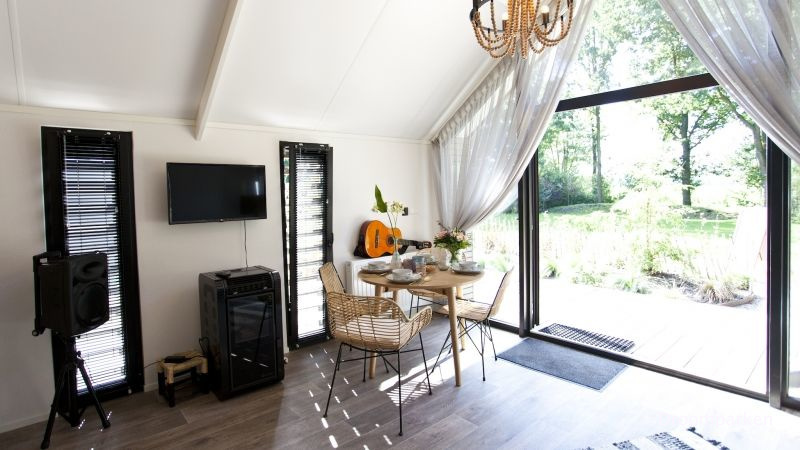 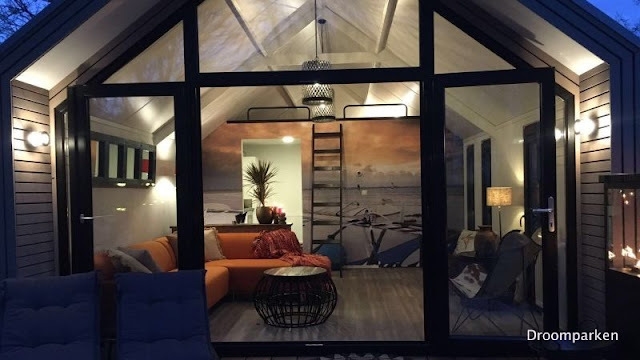 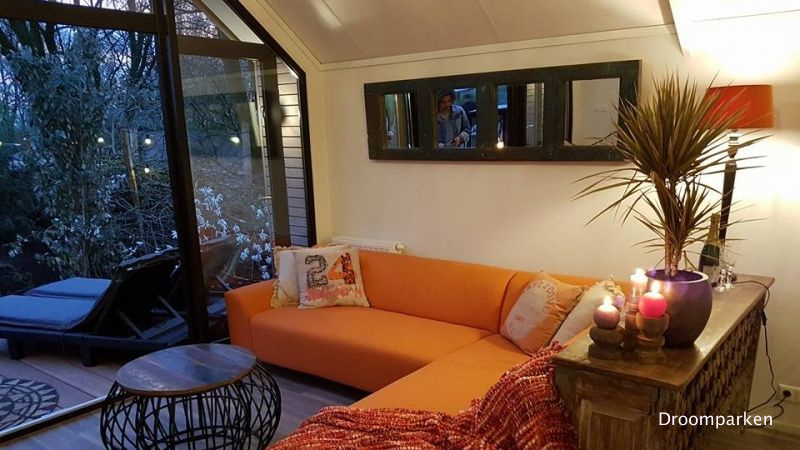 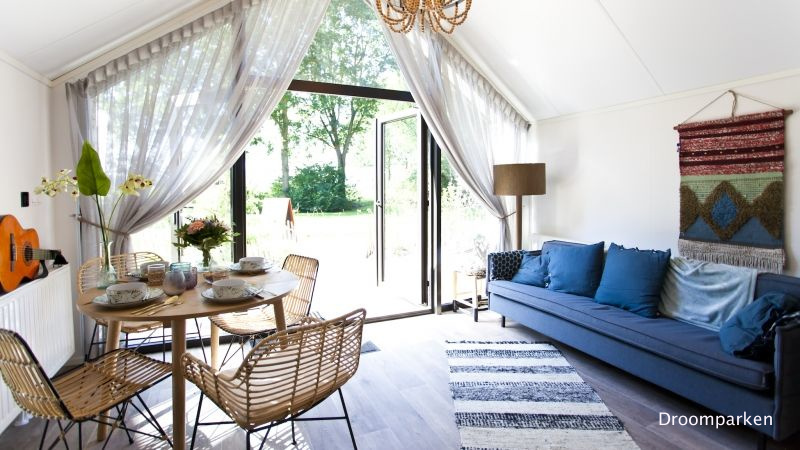 Available for purchase at the Dutch tiny house resort, Droomparken, is this stunning contemporary tiny house named the "Beach Edition". The Beach Edition is designed to be minimal, functional, and stylish. 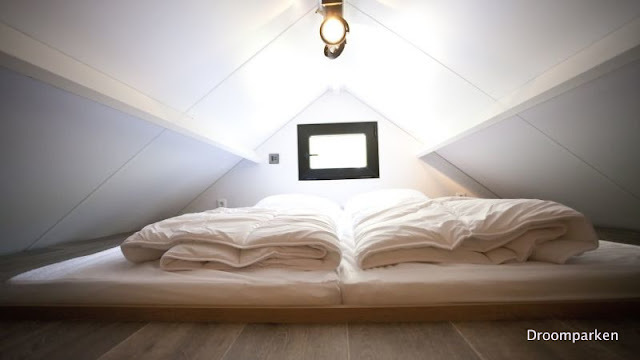 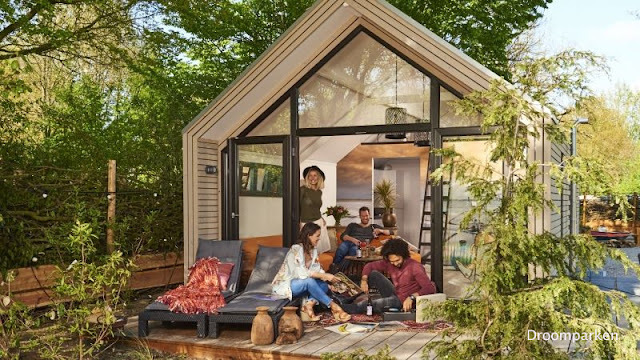 Despite its small size it can comfortably accomadate up to four people is necessary. 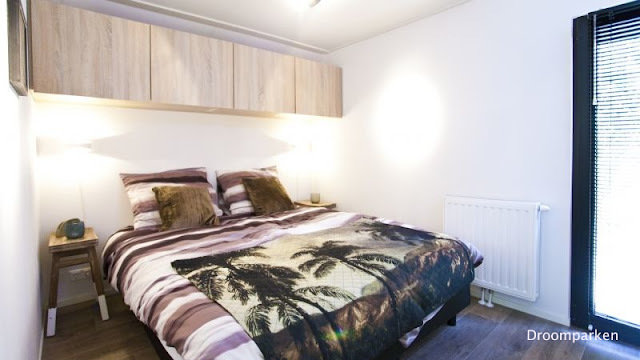 The ground floor features a fully equipped kitchen, a seating area, a sofa bed with room for two, and a bathroom. 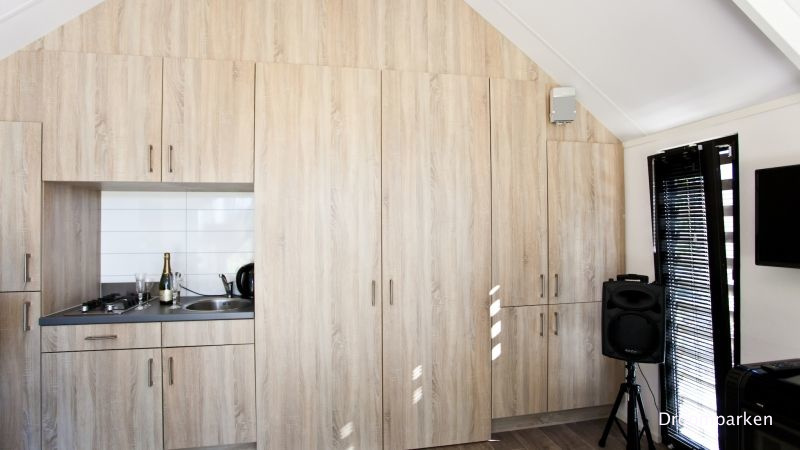 Upstairs, accessible by a staircase, is the home's master bedroom which has room for a double bed. 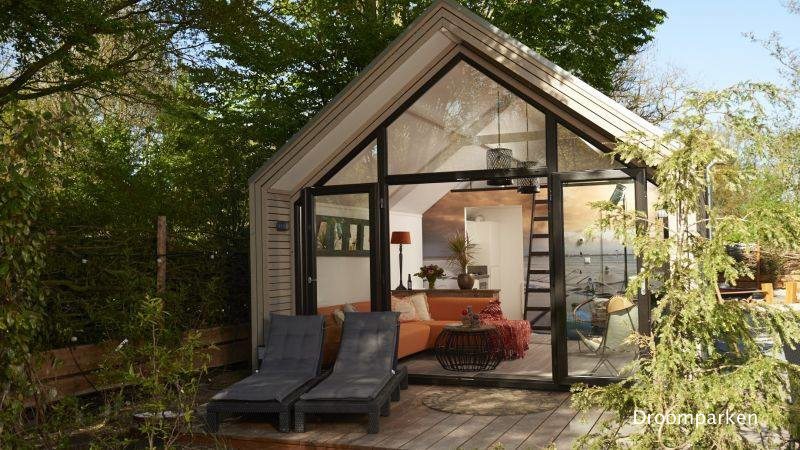 There's also a large window in the front of the home to allow as much natural light into the home as possible! 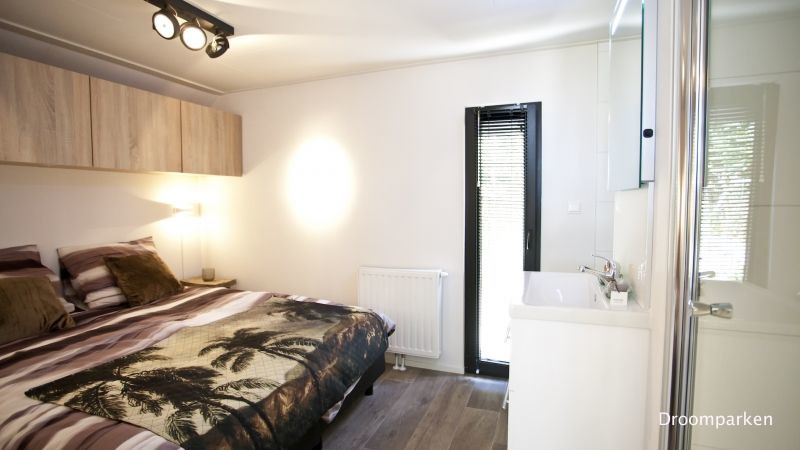 The Beach Edition is currently offered for €79,500 (about $93,257 USD). 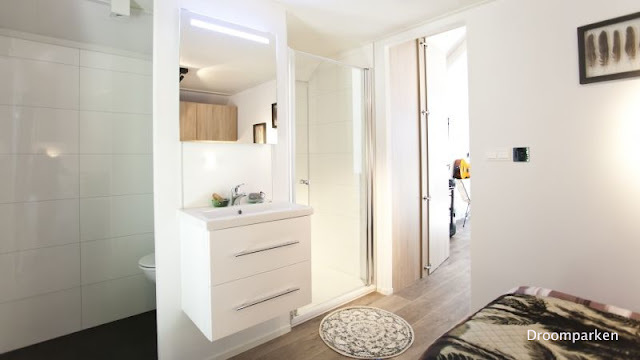 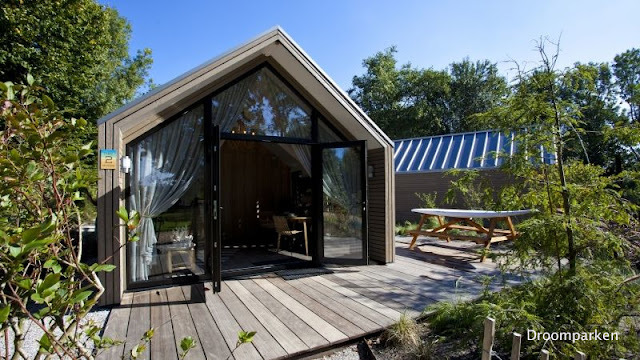 Be sure to check out this other tiny home from Droomparken here too!